Many times credit card offers are the most efficient way to collect large amounts of miles in a very short time. Those issuing credit cards are really keen on getting customers and are willing give more than generous bonuses for sign-ups. Now just a few words about the credit. You will need a reasonable credit score in order to get a premium card. You will also need to think about your credit score. So it can prove to be important to understand how these credit card sign-ups may affect your credit. * Each request for credit initiated by customers will ding your score a bit, for a short time. It will usually be a 2-4 point hit to your score, though it might not always be the same. The bureaus would think that if you apply for credit, you also NEED it and you will USE it and this will surely affect your ability to pay off different other creditors. * The affect on your credit lasts two years and not longer, and is biggest the closest you are to the applications – closest in time. * There is no actual benefit to a perfect score, if you hit 760 FICO or so the collateral benefit to higher scores really just isn’t there. Still, I don’t churn cards when I’m going for a mortgage. Otherwise I, for myself don’t worry that much. I’ve been signing up for award bonuses for many years now, and I have really good credit. Of course I usually also consider canceling the card well before the fee becomes due, unless of course, the issuer of the card wants to give me bonus points for keeping it! But I wanted to show you some of the best current credit card offers on the market. Has got three credit cards to offer. 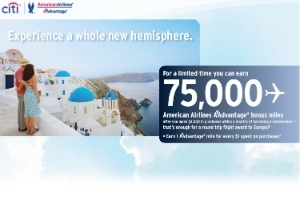 The offer is 75 thousand miles for $4k in spend within half year, no charge the first year. Put your hands on a personal card and a small business card. That’s 150k miles. Have a spouse or significant other? Have them do it to! Now both of you have have 150k miles… and should consider flying with Cathay Pacific on the first class from anywhere North America to South Asia together. Get 10K points upfront, 15K for spending $15,000 in the first half year of membership, for a total of 25K Starpoints(R) – pretty much enough for 2 free nights at any category 6 hotel. Redeem Starpoints(R) for totally free nights in more than a thousand resorts and hotels in almost a hundred countries and free flights with more than 350 airlines – without blackout dates. This will keep you on top of how many miles you need for a free trip, and alert you when your miles are expiring.